K9 Storm Inc. was founded in 1996 by former Winnipeg Police Canine Handler, Jim Slater, as a result of his work with his Police Service Dog, Olaf. What started as one man’s need to protect his own police dog with a custom-fit ballistic vest, has turned into a mission to provide functional high-end dog gear to the world. K9 Storm Gear is currently being used by special forces teams, police agencies, and search & rescue groups in over 32 countries. Now, for the first time ever, K9 Storm is opening the door to everyone. The same proven quality that is trusted by the world’s most skilled dogs is now available to the world’s most important…yours. In this exciting 1-hour tour, you will be taken through the process of making a K9 Storm Leash! 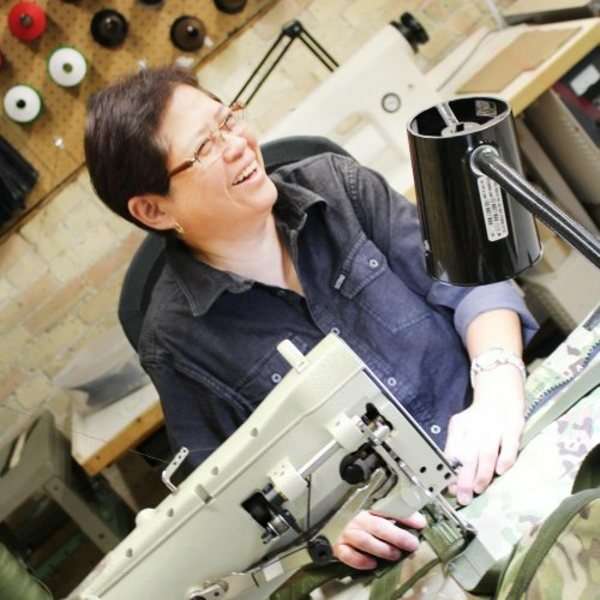 Experience the K9 Storm quality by stepping onto the sewing floor and seeing the staff at work. At the world’s first “micro-sewery” we won’t let you leave empty handed! You will get to take a K9 Storm Leash home with you at the end of the tour. This 45-minute tour allows you to experience all 3 floors of our K9 Storm Factory! You will be able to ask questions, speak to the staff, and observe where all K9 Storm’s products are designed, milled, and sewn under their one-century year old roof! 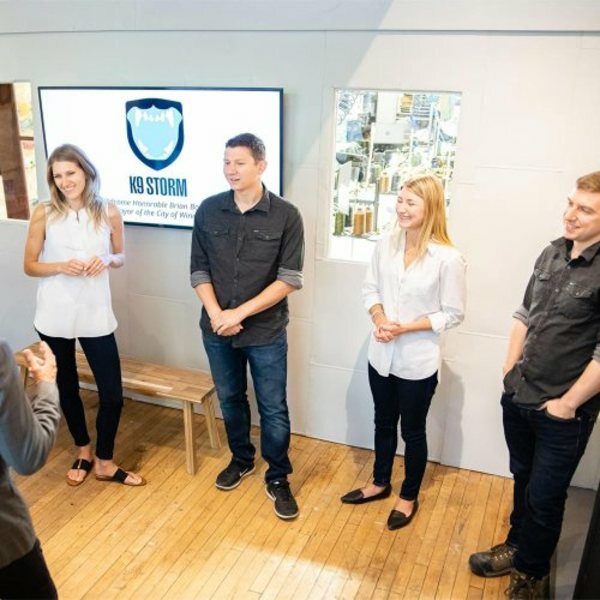 This 15-minute tour gives you the opportunity to learn about the history and development of K9 Storm as a company in their brand new Retail Store. Peak through the glass windows at the sewing staff as they work on anything from our custom-fit ballistic vests to K9 Storm’s world-renowned harnesses! An email to confirm when you would like to schedule your tour will be emailed to you after your purchase.